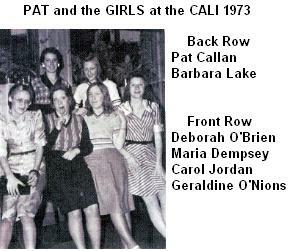 Have a look down "Memory Lane" at the Cali good old days. If you have any images that you would like to be shown on this page, just e-mail them to Sid by clicking the Contact Us link in the column on the right. He'd love to hear from you. Remember this? A big thank you to the couple from Dustable who gave us the original sign! 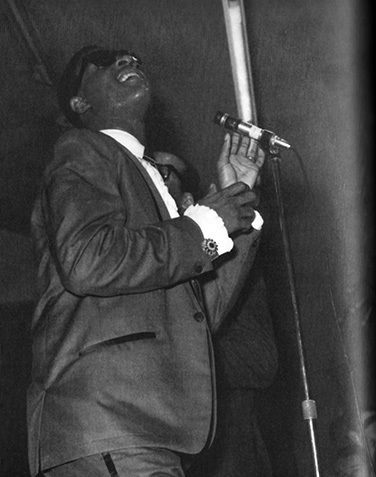 Stevie Wonder at the Cali 6th October 1967. Notice Stevie's flash cuff links, of which one fell off on the night. An eagle eyed Chris Green, son of owner Edwin Green, salvaged it from a very hectic evening. Chris still has the cuff link to this day. 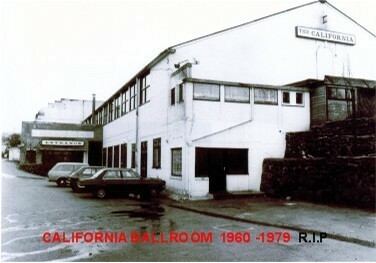 "What does the California Ballroom mean to me? 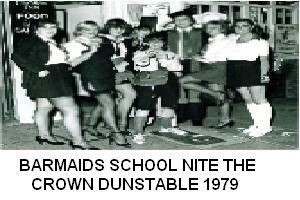 For a start, it is where I grew up and got myself a sound education. 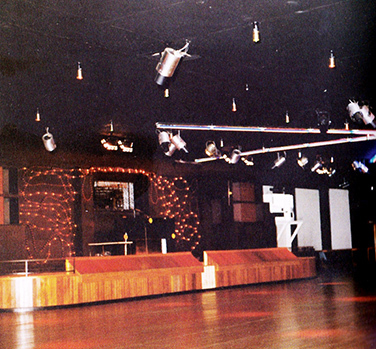 A place where I was entertained to the max and was lucky enough to be part of the show. A top American band, just about every week, the latest imports in The Devils Den, later to be reincarnated as Didoz, all to be shared with hundreds of people in an atmosphere full of enthusiasm. But all things come to an end.....for a while. 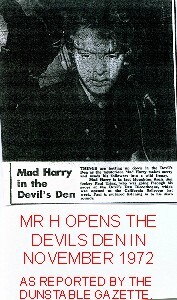 Mr H says "It was the first night in the Devils Den and everything was brand new. MicK Ilka told me to be careful with the new decks as he had paid a hundred pound a piece for them. That was a lot of money then!" "The night was a blast, we were all having a great time. What did I then go and do? I spilled a pint of lager over Micks new decks. Still we got through and I went on to have many, many great nights there. 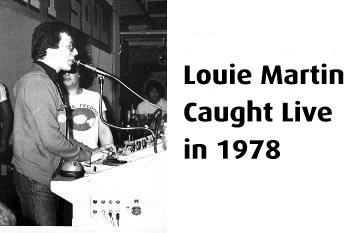 Later I was accompanied by a young Mr Hudson and a very young Louie Martin." 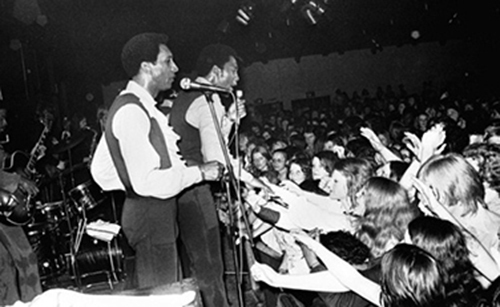 Eddie Amoo (The Real Thing) - "The California Ballroom was the gig everyone wanted to play - all the top American bands played there." Eddie said of the Cali-r - "The people in the audience had so much soul we enjoyed every minute." Desmond Decker - "Yer man I remember The California Ballroom. It was superb, the best man. We would love to end the tour there." 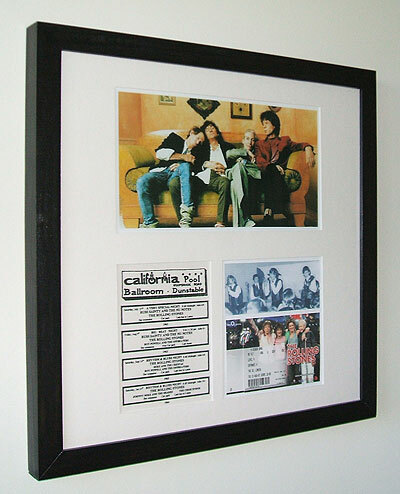 Desmond on the Cali-r - "Great man just great, what a great gig, but next time can we have a big heater in the dressing room?" 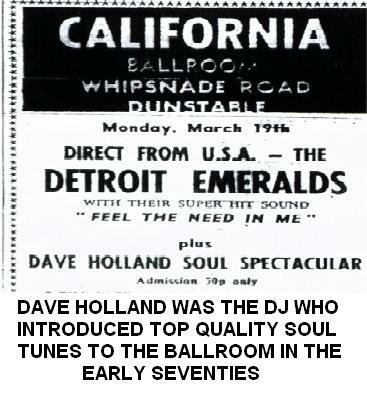 The late Edwin Starr - "The California ballroom was my favourite. What can I say, the ladies and the fellows are fantastic here. They love to dance." 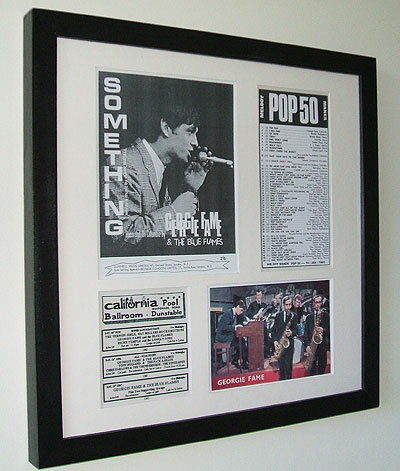 Swinging 60's California Ballroom fan Alan, sent us some memorabilia of the old days (below). 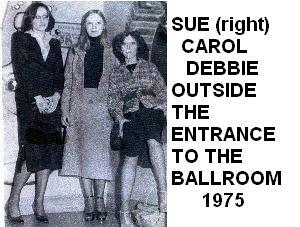 He regularly visited the Cali in the 60's and has many stories of the old place. Many thanks Alan.